On college tours, guides tell you about clubs, residence life and uniquely boring fun facts. You might even graduate from college without learning about the secret societies that students vie to join on campus. Secret societies are like small clubs on campus, some social based, and others based on things like academic achievement and university status. Many colleges, especially ones founded hundreds of years ago, have secret societies on campus that operate underground with secret rituals, traditions and memberships. No one really knows what goes on in a secret society until you’re actually in one. Keep reading to learn about the top 10 college secret societies that linger on campuses nationwide. Furman University opened as the first private, co-ed liberal arts school in South Carolina in 1826. With social campus organizations banned at the time, students started clubs secretly. The Quaternion Club dates back all the way to 1904. “We have Quaternion Club for boys and Senior Order for girls,” Furman junior Margot Fumo said. “It’s based on academics, service [and] humility. Each class nominates and chooses who they want to be in the next class.” Meetings and initiation processes allegedly take place in Old College. But the actual operations of the society remain a secret. 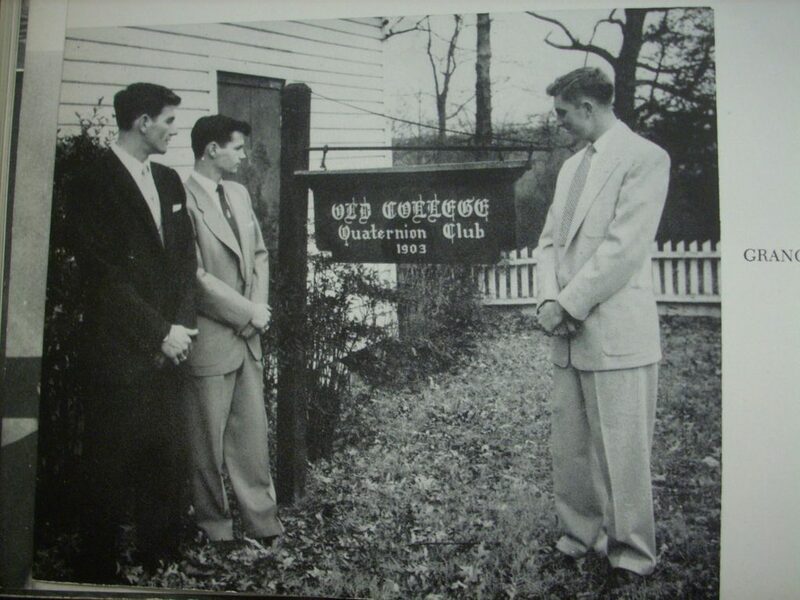 Other secret societies, like the Magnolia Club, are rumored to exist on campus, though little evidence exists. The Order of Gimghoul honors the campus legend of Peter Dromgoole, a UNC student who went missing in 1833 under suspicious circumstances. Gimghoul only extends invitations to influential junior or senior male medical or law students. The Order started in 1889, only keeping 15 members at a time that are initiated in a late–night ceremony. 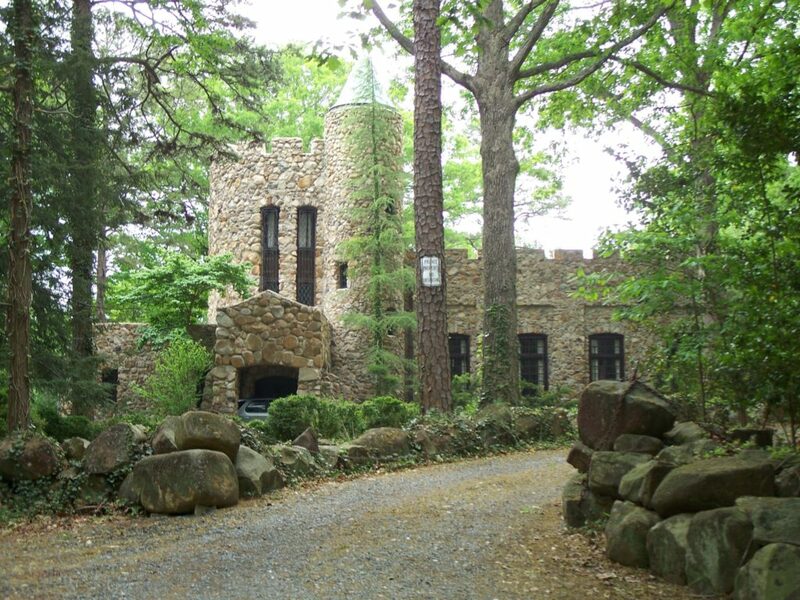 They meet at least three times a year at Hippol Castle in Battle Park. According to UNC university archives, past yearbook pages of Gimghoul consisted of portrayals of Satanic rituals and coding…yikes. 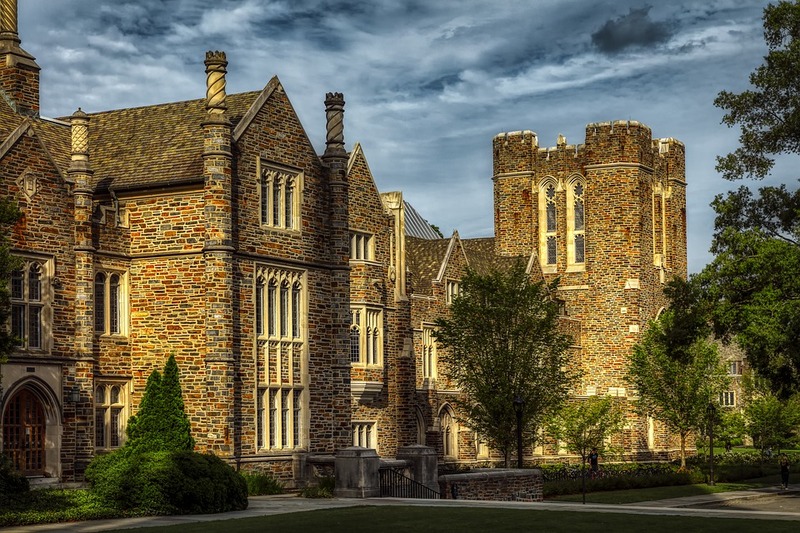 Duke University had a rough start with secret societies. Its two earlier societies, the Order of the Red Friars and Order of the White Duchy, faced charges of elitism. Both disbanded in the late 1960s. Today, the Old Trinity Club stands as the longest-running society on campus, tapping a group of rising seniors each spring. You can see members of the Old Trinity Club walking around the campus quad in black graduation gowns wearing sunglasses on the first and last day of classes chanting Latin phrases. Graduation gowns and sunglasses may not be an everyday campus look, but at least you’ll know these people aren’t up to something weird. Literary and secret societies have been a part of this private university in Atlanta since its founding. The oldest student-selected honorary society, D.V.S., admits only seven students each year. Some societies keep their members’ identity a secret forever. Not D.V.S. members—they reveal their identity at graduation. No one even knows what D.V.S. stands for. 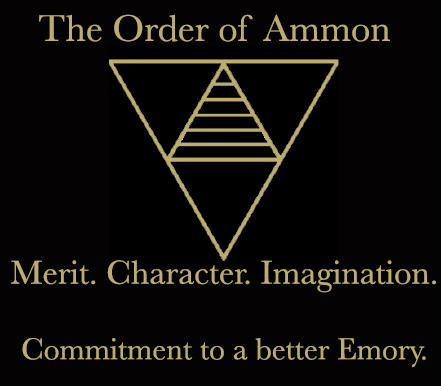 Three other secret societies exist at Emory: Paladin Society, Ducemus and the Order of Ammon. Unlike other societies, Ducemus makes campus-wide traditions rather than secluded ones, like bringing back the Emory tradition of “Wonderful Wednesdays.” On ‘Wonderful Wednesdays,” different clubs set up booths in the center of campus and sometimes even bouncy castles. “I always look forward to ‘Wonderful Wednesdays’ because it gives me some much-needed time to connect with my peers,” Emory junior Cassidy Rothfeder said. Order of Ammon only includes ten students at a time and connects with students through Instagram. Don’t get distracted by the name “Eating Club.” These societies have little to do with fine dining. The term dates back to when the university didn’t provide dining halls, so students created their own clubs for dining and social activities. Ivy Club, the most prestigious of the eating clubs, involves a rigorous invitation process. Students who want to join must sit through 10 one-on-one interviews with current members about things like where they spend their summers, who their friends are and what their parents do. To get into the club, all 130 members must unanimously agree. Otherwise the student gets “black-balled.” Eating clubs determine the social scene of at Princeton, like where students party and their social identities. Though Princeton officially bans secret societies on campus, these eating clubs operate above ground and appear more influential than societies that remain a secret. 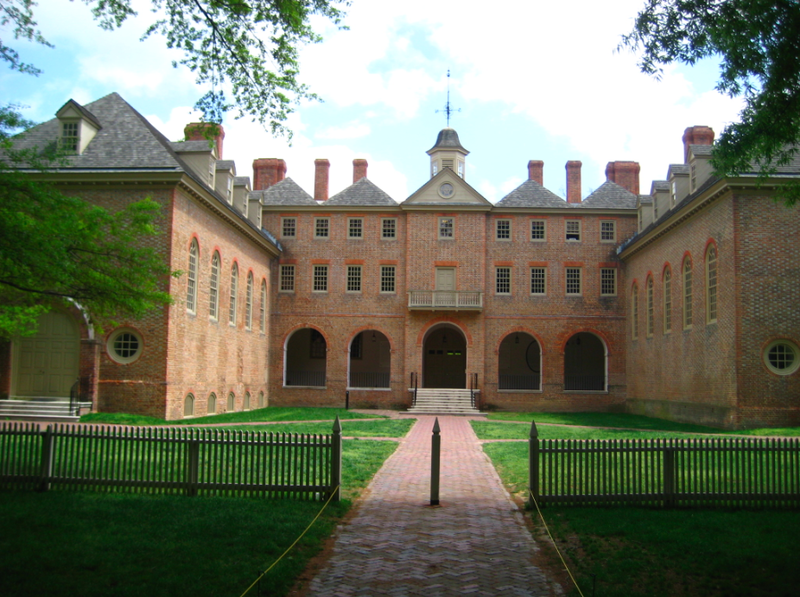 The College of William and Mary founded the first collegiate secret society in 1750, the Flat Hat Club (or F.H.C. Society). And in 1911, students started a newspaper, The Flat Hat, named after the secret society. Today, as many as 15 societies work in the shadows on campus (possibly more). Seven Society has chapters at other universities and only reveals members at the time of their death. The Alpha Society, an all-female society, empowers women and recognizes strong female leadership on campus. Most of these societies focus on philanthropic missions. Visit the university yourself to find the true answers—if you can even find them. Over in Happy Valley, secret student societies run the university. There are three known societies: Lion’s Paw Senior Society, Parmi Nous, and a Skull and Bones chapter. Lion’s Paw seeks to promote and restore the university’s traditions. Members must unanimously vote to induct each new member for the incoming class. Parmi Nous is the oldest society at Penn State, dedicated to student leadership and strong academics. 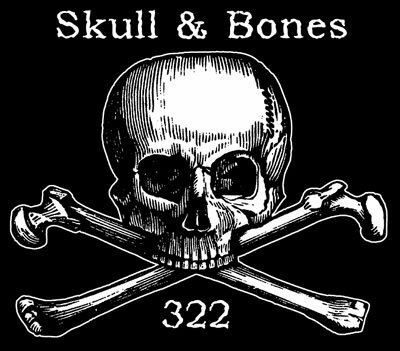 Skulls and Bones might be the most secretive, and only current members decide who’s invited to join. Anyone can find the organization’s website, but it remains password protected from the public. It’s no secret, though, that these exclusive societies typically invite highly-involved students from influential groups to join the ranks. Sometimes students hold leadership roles in more than one society, too, giving them more power and influence over the Penn State student body. Cornell University’s traditions and secrecies run through its veins. Five major secret societies run on campus with varying levels of prestige and secrecy. The two oldest societies on campus, Quill and Dagger and Der Hexenkreis, hold the most prestigious reputations. Only one percent of each graduating class at Cornell joins Quill and Dagger. The Order of Omega, for all-star Greek Life students, advocates for Greek chapters and strengthens the community through service and Greek relations. Scabbard and Blade, a society for ROTC military students, meets more frequently than any of the other secret societies. They meet once a week and consist of only six members, two from each ROTC branch. Sphinx Head, the oldest senior honorary society, came out of a 30-year hiatus in the 2000s—reigniting its longstanding rivalry with Quill and Dagger. Many Cornell students and alumni alike attempt to calculate the number of societies at Cornell—dead, alive or just too secretive—and come to no avail. Does anyone even know how many secret societies meet at UVA? At least they can be traced back to when the university’s first class of students in 1825. Students know the Seven Society, the Z’s and the Imps as the “big three” because of their longstanding prominence on campus. The identities of Seven Society members are only revealed when they pass away. To communicate with the Seven Society, students must leave a letter at the base of the Jefferson Statue in the rotunda. The Z’s are notorious for leaving elusive Z shapes on campus, like the giant Z on the north steps of the Rotunda. The Imps lift university spirits through random acts of kindness like passing out candy or practical jokes—all done secretly, of course. Some lesser known societies include P.U.M.P.K.I.N. Society. Members distribute pumpkins and kind letters to students on Halloween, and give out pumpkin pies and letters of commendation to outstanding faculty members who often go unrecognized. Edgar Allen Poe fans, look out for the Raven Society. It welcomes students of high academic achievement and leading students in each department. 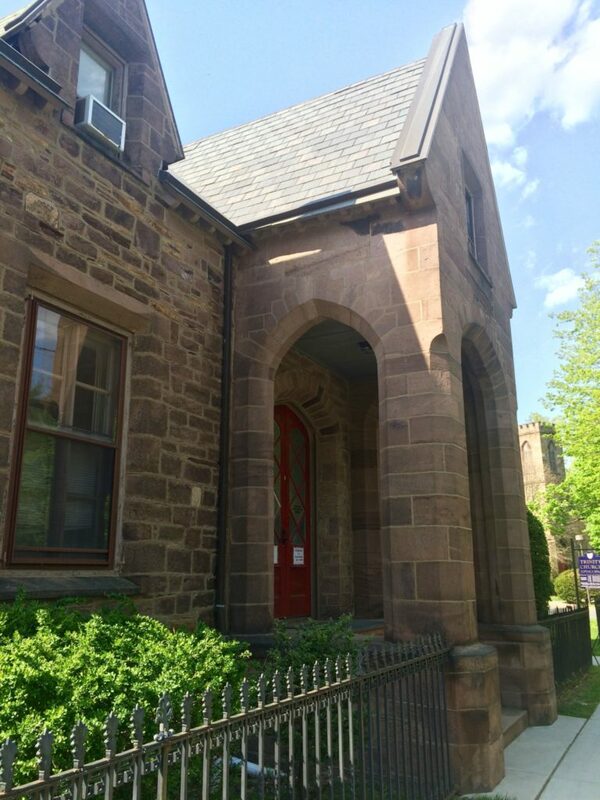 The Raven Society also maintains the West Range Room, AKA the place Edgar Allen Poe lived during his time at UVA. From pranks to pumpkins to Poe, UVA students know how to use their secret power for fun. 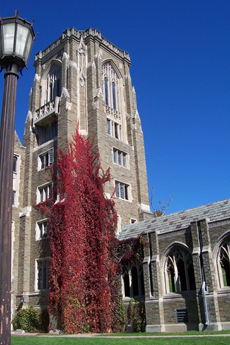 Some consider Yale the mecca of secret societies. As many as 41 secret societies exist at this Ivy League. The most notable, Skull and Bones, includes many powerful alumni and conspiracy theories—some even connect them to the Illuminati. While people have published numerous books, articles and theories about Yale’s societies, many of their whereabouts still remain secret. Some of Yale’s societies meet at secret clubhouses called “tombs” around New Haven, made of soundproof sandstone and marble. “There’s a lot of myths around secret societies at Yale, and they seem pretty intimidating when you’re a freshman, especially since the Skull and Bones tomb is right across the street from the freshman housing,” junior Yale Jane said. Other societies include Scroll and Key, Book and Snake, Berzelius, and Wolf’s Head—all founded in the 19th century. Wolf’s Head primarily taps the prep school type students and is known as one of the wealthiest societies on campus. Book and Snake, the fourth-oldest society, engraves cryptic codes and symbols on their tomb that only members can understand. Berzelius, often referred to as BZ, values intellectual curiosity and academic achievements, which makes sense considering it’s named after Jöns Jakob Berzelius, the founder of modern chemistry. These societies may feel like everything to those who go to Yale, but they really only account for a small percentage of students. Plenty of other clubs exist that don’t require you to memorize a cryptic language. If you find yourself in New Haven looking for an adventure, check out the elusive tombs and maybe you’ll witness a secret ritual. *Editor’s Note: Skull and Bones at Yale is not affiliated with Penn State’s Skull and Bones.